THE LAST RESORTis a rollicking imaginative romp in the neo-pulp hard boiled genre told with the succinct directness of a Hammett, the witty hyperbole and lush locales of a Chandler, as well as a sly nod to Nancy Drew and Hardy Boys adventures. Pat Nolan has written a fast paced, tongue-in-cheek, pun filled comedy of errors, misunderstandings, and faux intuition in the mode of a 1930’s pulp thriller. THE LAST RESORT presents an unlikely set of circumstances in which a worldly-wise female reporter must untangle herself from her past in order to deal with the puzzling events of her present. Instead of the typical splinter-jawed, broken nosed, tobacco breathed tough guy hero, Nolan upends the stereotype by introducing a gorgeous internationally famous former fashion model whose super power is her beauty. Men are undone by her fatal charm, women not so easily. Written as a serial over a five year period and audience-tested on a variety of readers, writers, litterateurs, poets, and lost souls, THE LAST RESORT, much like the Arabian Nights, features a labyrinthine plot, eccentric characters, cliff-hanging chapter endings as well as the requisite exotica and phantasmagoria associated with the genre. 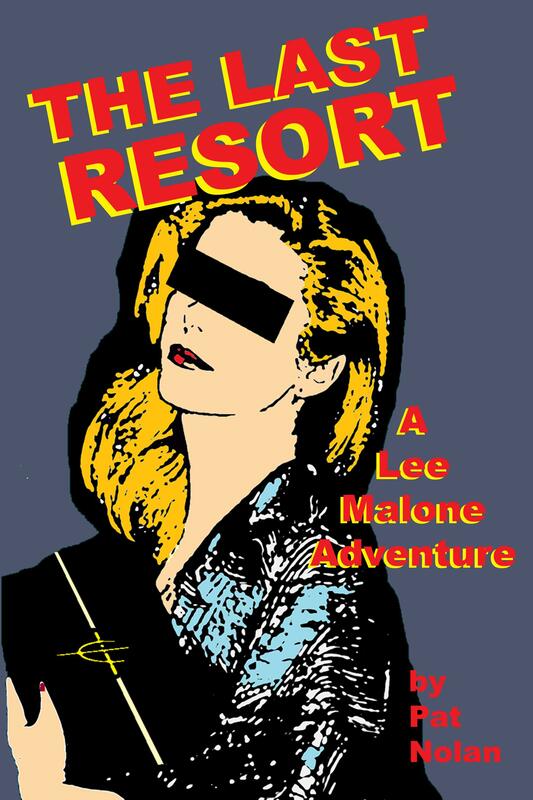 THE LAST RESORT, A Lee Malone Adventure, is a quirky, entertaining, and nostalgic take on the lurid screed that once peopled pulp pages on newsstands everywhere.